The CAMP CARD initiative is designed to help Scouts earn their way to summer camp and day camp programs. Units will earn 50% commission on each $5.00 Camp Card sold. Last year, more than $190,000 of commission went back to the units from sales. Details are being finalized on which community partners will be on the card but the following have supported Scouting in the past. Smith’s, Ted Wiens, Circus Circus Adventuredome, Olive Garden, Dunkin Donuts, El Pollo Loco, Fitness for $10, Avengers, and Adam London (comedy show). 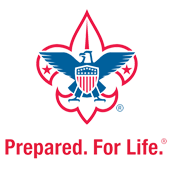 If you have potential Camp Card Vendors please contact Cameron Bomstad at the Scout Office.